The issue of pyrite resurfaced earlier this month natiowide with new cases in Drogheda, Mayo, schools in Balbriggan and now demolitions of housing in Shankill, Dublin. As there has been continuing Dáil, Seanad and media coverage we will be compiling a selection of reports of interest on this. The following consolidated post is for the week ending 13th June 2014. Press article from Drogheda Life from 9th June here. “Work began today on the demolition of six newly built homes in Moneymore estate in Drogheda because pyrite was discovered in some of the blocks used to build them. Residents had been due to move into the 25-house scheme late last year but, since the Pyrite was discovered, the houses have remained empty pending analysis. It seems that the future of other houses in the scheme is also in doubt. 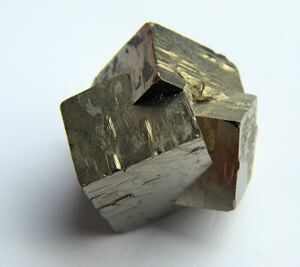 Pyrite is a natural occurring material which is found in stone, it becomes unstable when exposed to air or water. When used in building it causes cracking, splitting and buckling of walls, floors and ceilings. Workmen were today removing windows, doors and other fittings prior to the houses being demolished. Minister Fergus O’Dowd said he welcomed the decision to demolish the six “social housing units”. He said: “While it is unfortunate that this course of action has to be taken, I am glad that this pernicious material has been discovered at this stage rather than when the buildings become family homes. Discussions have been on-going for some time between the Pyrite Resolution Board and HomeBond on services to be provided by HomeBond in connection with the implementation of the pyrite remediation scheme. The discussions have recently concluded and my Department understands that an agreement has now been reached under which HomeBond has agreed to contribute technical and project management services to the value of €2million, and such services will include assisting in the auditing of Building Condition Assessments, organising and managing the testing of dwellings and project management of remediation contracts. HomeBond has also agreed to make available to the Pyrite Resolution Board/ Housing Agency the results of testing undertaken by it prior to the operation of the scheme. All services will be provided under the direction and supervision of the Pyrite Resolution Board and/or the Housing Agency and in this context it should be noted that HomeBond staff will not be making decisions on the eligibility of applicants under the scheme. In addition, while working on the pyrite remediation process, staff from HomeBond will not be acting as agents of the Pyrite Resolution Board/Housing Agency to whom they will be answerable. Cllr Munster said it is looking likely that if the blocks used on all the houses were from the same source then all of them will have to be knocked.